I wanted to share a recently released paper that identifies seven key traits of volunteer water monitoring programs as related to outcomes on natural resource policy and management. I hope it will be useful to volunteer monitoring and other citizen science programs as they grow and develop. As citizens take on expanded roles in gathering and reporting environmental data, their potential impact may relate to organizational traits. This study sought to understand the relationship through a survey that identified traits and impacts of U.S. volunteer water monitoring programs on natural resource policy and management. A multiple regression model tested the influence of nine traits on an index of impact, addressing eight a priori hypotheses related to natural resource management outcomes. Seven traits were significantly related to impacts. Significant positive relationships included: the objective to address an environmental crisis; an EPA and/or state approved quality assurance plan; support of external decision makers who may use or benefit from data; larger budget; volunteers playing more roles in the research process. Fewer impacts were expected from programs operating within schools. Understanding these relationships can help guide citizen science programs or other types of citizen engagement efforts. Another Pacific Islands INNOVATION that might be useful in the Caribbean, if it’s not already being done… might want to build a Caribbean small island site that’s linked with the Pacific AND relevant global sites — especially GIN <https://www.globalislands.net/>, which is THE BEST source for news stories about small islands. Met a guy from Startup&Angels (http://www.startupandangels.com/) based out of Sydney and we’re looking at hosting events/training in Suva next year to help boost our startup ecosystem in Fiji. The University of The Bahamas (UB) recently opened its first, state-of-the-art science research facility, the G.T.R. Campbell Small Island Sustainability Research Complex, which, represents a significant move towards sustainability and the fulfilment of the United Nation’s Sustainable Development Goals. The multi-million-dollar facility is the result of a gift to the University from the Freedom Foundation, and is named in honour of shipping magnate and naval architect the late George T. R. Campbell whose family was present to witness the milestone. Mr. Campbell founded Dockendale Shipping in Nassau, an operation now headed by H.E. Lowell Mortimer. A LEED-certified complex with modern laboratories to support a wide-range of environmental monitoring and chemical analysis methods and techniques of the air, land and sea, the research centre is also dedicated to meeting national priorities in agricultural production as well as food safety and security. H.E. Lowell Mortimer, one of the visionaries behind the newly constructed facility, has remained committed to the institution over the years. Given the intricacies of the design and construction of this building, it was years in the making. “Around 2008, starting with Dr. Keva Bethel, followed by Janyne Hodder, a presentation was made to me for a sustainability centre and here we are today with the G.T.R. Campbell Small Island Sustainability Research Complex”, he shared. UB President, Dr. Rodney D. Smith touted the collaboration that will exist as a result of this new paradigm. “Small Island Sustainability is a signature programme at UB with various degree options that will provide students the opportunity to interact with each other and create inter-disciplinary synergies for dynamic research,” he explained. The building comprises three classrooms and a geographic information systems (GIS) teaching lab; 6 research labs, including 1 aseptic tissue culture lab (a sterile lab); 11 staff and research offices, and office spaces for visiting researchers, graduate students and laboratory technicians. Additionally, there are six active research laboratories which will focus, specifically, on Plant Tissue and Bio-technology, Geospatial Visualization and Informatics, Food and Natural Products Innovation, Plant, Soil, and Water Sciences, Applied Laser and Optical Science Research and Chemical and Environmental Analysis. Minister of the Environment and Housing, Romauld Ferreira, a UB alumnus, underscored the importance of this new complex and the role it will play in the future growth and development of the country. He commended the university for being at the forefront of sustainability practices in the country. “As we open the door to the GTR Campbell Small Island Sustainability Research Complex, we are opening the doors to the solutions to our nation’s burgeoning problems. We are equipping this generation and those to come, with the tools to address climate change and to create the future they want and deserve,” he said. Campbell also reflected on the significance of the complex and what it represents to The Bahamas and globally. “Sustainability is the word going forward that will lead us into the future. The new generation of students that will graduate from this university will leave their imprint for following generations. We are initiating a process that is spawning itself across the world right now and throughout universities and it is a wonderful thing to be part of,” she said. The GTR Campbell Small Island Sustainability Research Complex will further position the institution to attract and retain world-class faculty; enliven the University system and bring together students, experts and facilities to revolutionize teaching, research and studies in small island sustainability. Projects that recruit the public are getting more ambitious and diverse, but the field faces some growing pains. Filip Meysman knew he had made his mark on Antwerp when he overheard commuters discussing his research project on the train. Then, just a few days later, he saw an advertisement about his work on television. There it was, he says, “in between the toothpaste and George Clooney’s Nespresso”. As a biogeochemist at the University of Antwerp in Belgium, Meysman wasn’t used to drawing so much attention. But that was before he adopted the citizens of northern Belgium as research partners. With the help of the Flemish environmental protection agency and a regional newspaper, Meysman and a team of non-academics attracted more than 50,000 people to CurieuzeNeuzen, an effort to assess the region’s air quality (the name is a play on Antwerp dialect for ‘nosy’ people). The project ultimately distributed air-pollution samplers to 20,000 participants, who took readings for a month (see ‘Street science’). More than 99% of the sensors were returned to Meysman’s laboratory for analysis, yielding a bounty of 17,800 data points. They provided Meysman and his colleagues with information about nitrogen dioxide concentrations at ‘nose height’ — a level of the atmosphere that can’t be discerned by satellite and would be prohibitively expensive for scientists to measure on their own. “It has given us a data set which it is not possible to get by other means,” says Meysman, who models air quality. Citizen science — active public involvement in scientific research — is growing bigger, more ambitious and more networked. Beyond monitoring pollution and snapping millions of pictures of flora and fauna, people are building Geiger counters to assess radiation levels, photographing stagnant water to help document the spread of mosquito-borne disease, and taking videos of water flow to calibrate flood models. And an increasing number are donating thinking time to help speed up meta-analyses or assess images in ways that algorithms cannot yet match. The movement is surfing wider societal forces, including a thirst for data; the rise of connectedness and low-cost sensor technologies; and a push to improve the transparency and accessibility of science. Increasingly, government institutions and international organizations are getting in on the action. The US and Scottish environmental protection agencies, for example, have incorporated citizen science in their routine work. The United Nations Environment Programme is exploring ways of using citizen science to both monitor the environment and stoke environmental concern. And the European Commission has made a range of funding opportunities available for citizen science within its €80-billion (US$92-billion) Horizon 2020 research and innovation programme. At the same time, citizen-science proponents have grand visions for the future of the field. They hope that such efforts will become a major source of high-quality data and analysis in areas relevant to policymakers as well as scientists. In December, multiple citizen-science organizations banded together to form a worldwide group — the Citizen Science Global Partnership. One of its first tasks is to explore how citizen science can help to monitor progress towards the UN’s Sustainable Development Goals, which aim to address global challenges ranging from hunger to environmental degradation by 2030. The origins of citizen science go back at least a couple of millennia. In ancient China, migratory locusts frequently destroyed harvests, and residents have helped to track outbreaks for some 2,000 years. The modern form of such research arose after science became a professional activity, creating a cohort of interested outsiders in the process. The phrase ‘citizen science’ itself was coined in the mid-1990s. Alan Irwin, a sociologist now based at the Copenhagen Business School, defined it both as “science which assists the needs and concerns of citizens” and as “a form of science developed and enacted by the citizens themselves”. Some of the earliest modern citizen-science projects, starting with bird counts in the early twentieth century, involved concentrated outdoor campaigns to record animal sightings. Since then, public involvement has grown to encompass a range of roles. Muki Haklay, a geographer at University College London, has outlined a taxonomy of involvement, from ‘crowdsourced’ citizen science, in which lay people contribute data or volunteer computing power, to ‘co-created’ and ‘collegial’ research, in which members of the public actively engage in most aspects of a project, or even conduct research on their own. In areas such as biodiversity, where citizen science first thrived, projects are breaking boundaries through the sheer volume of participants and data. The Global Biodiversity Information Facility, the world’s largest such repository, says that it gets half of its billions of data points from lay sources. The group estimates that it has supplied data for more than 2,500 peer-reviewed papers in the past ten years. At iNaturalist, a social network to which anyone can submit a photograph of their encounters with flora and fauna, co-director Scott Loarie has presided over a doubling of submitted images every year since it was launched in 2008. He tries to trace scientists’ use of iNaturalist data and has counted 150 papers so far — but he thinks that the actual number is much higher because many of the papers don’t cite the organization. Other researchers have enlisted the public in more-involved projects to enhance research activities, including checking data derived from other sources. When a team published a paper1 in 2011 suggesting that there could be enough marginal land to grow biofuel sufficient to meet half the world’s liquid-fuel needs, Fritz recruited an army of citizen analysers to participate in the IIASA’s Geo-Wiki project to study the claim. After working through thousands of images from Google Earth, they generated estimates of land use that were hundreds of millions of hectares lower than those of the original paper2. “We downgraded the initial estimates drastically,” says Fritz. Fritz thinks that some people are attracted to his projects because they want to contribute to science, whereas those who become most involved are drawn to the prospect of co-authorship on papers. Some simply like the offer of Amazon vouchers, he says, or a few euros. Other projects can draw participants for political and social reasons. Within days of Japan’s Fukushima Daiichi nuclear disaster in 2011, a small group mobilized to distribute Geiger counters (and ultimately DIY assembly kits) to anyone who wanted to measure radiation levels themselves. At times, local and central governments were hostile to the effort, says Azby Brown, an architect and a leader of the group, now called Safecast. But the findings proved useful, exposing inaccuracies in government readings: high counts where people had been told it was safe to go, and low counts in places that had been deemed unsafe. There is still scepticism about these citizen-generated data, Brown says, although the International Atomic Energy Agency has invited him to speak at several meetings over the past few years. But it’s not just lay people with concerns or scientists with a bright idea who trigger projects: governments and their funding arms are also getting involved. With the support of the European Commission, for example, a project called Ground Truth 2.0 has set up six pilot ‘citizen observatories’ in Africa and Europe. Each is designed to encourage a three-way conversation between laypeople, scientists (or those who process the data) and those who could benefit from the data, such as policymakers or local authorities. Ground Truth 2.0’s leader, Uta Wehn, a researcher at the IHE Delft Institute for Water Education in the Netherlands, says that earlier citizen observatories funded by the European Union included the public as an afterthought. But here, scientists don’t dictate the project; they choose the location and let interest groups decide what issue they want to explore and how to do it. “We’re putting the people before the sensors,” she says. One observatory, which is examining deteriorating water quality in the Mälaren region of Sweden, found out through early discussions that the existing data on water quality are dispersed, and that local people who do the monitoring had no connection with the decision-makers. Two years in, Wehn says it is too early to say whether such projects are changing policy. But participants laud the relationships that have been built between various stakeholders, she says. Some research leaders are looking to citizen science to foster more inquisitiveness in the ‘post-truth’ era, in which emotional appeals often seem to win out against fact-based arguments. François Taddei, co-founder of the Center for Research and Interdisciplinarity in Paris, thinks that citizen science can revive critical thinking. Children exposed to such projects are “much less prone to fake news and all these problems that we are facing in the information age”, he says. Yet, even as its aspirations become grander in scale, citizen science faces a number of challenges, including data quality and recruitment — in terms of both persuading more scientists to work on such projects and enlisting enough citizens to participate in them. Papers published in the past few years have identified flaws in citizen-sourced data, including deviations from standard protocols and biases in recording or in the choice of sampling sites3,4. Graham Smith, a wildlife ecologist who analyses sightings made by members of the public for the London-based Mammal Society, a British conservation charity, says that Sunday ramblers will ignore yet another rabbit bounding across their path but unfailingly note a more spectacular sighting such as an otter, which is “the most recorded mammal in Britain for its population size”. Smith, who works for the UK Department for Environment, Food and Rural Affairs, has explored statistical approaches to combat this bias. New apps that track a citizen’s route and time in the field are also enriching the data, he says. Meanwhile, simple techniques exist for testing the quality of online analysis, says Fritz. His group inserts occasional control submissions that test a contributor’s conclusion against a predetermined professional one (those who regularly fail — about 5%, estimates Fritz — are dropped, whereas those who do well can progress to become co-authors of papers). Scent, a project that uses a gaming app to encourage citizens to photograph land use, has humans and algorithms check one another for errors, says Daniele Miorandi, a communications engineer for the project. Some academics fear that the public is getting fatigued by all the options, and note that participation in some projects, such as the United Kingdom’s long-running Big Garden Birdwatch project, has declined (see ‘Crowd power’). In an unpublished paper, Haklay has estimated that the number of people globally who could be drawn into regular data collection is about 1.7 million. “You can get a lot of people for a short time investment, or very few people for a deep and intensive engagement, but you can’t get everyone doing it all the time,” he says. Researchers and participants are also encountering challenges with ethics, data use and privacy. In Kenya, for example, one of Wehn’s citizen observatories is a mapping project that enables people to note poaching incidents, wildlife encounters and fencing, which can be harmful to animals. But the data gathered could be used for nefarious purposes. “Sightings by the tourists might be perfect for the poachers,” says Wehn. She says the team is in careful discussion with authorities about what data can be disclosed. These issues are likely to grow, particularly with the rise of health-monitoring apps. Philip Mirowski, a historian at the University of Notre Dame in Indiana, has raised concerns about the fate of citizen data. He points to projects, such as PatientsLikeMe, that ask people to upload medical information. At least in the United States, he says, “the people who generate the data really don’t have any say in what’s done with it”. Meanwhile, leaders in the field are pushing for more professionalization, by attempting to systematize the available research and agree on common methodologies. The Open Geospatial Consortium, an international alliance of businesses, research institutes and government groups, has launched a taskforce to get citizen data streams to talk to one another. And the US-based organization SciStarter, an affiliate of Arizona State University in Tempe, has made tools and other resources available for avoiding pitfalls in rolling out projects. Some are sceptical of efforts to manage citizen science from the top down. Michiel van Oudheusden, a sociologist at the Catholic University of Leuven in Belgium who has studied the example of Fukushima Daiichi, says that citizen science can be especially valuable when it is unaligned with the establishment. “Subversiveness can be very productive,” van Oudheusden says. Perhaps that is what CurieuzeNeuzen has achieved. The group thinks it reached a world record in the density of air-quality measurements. Now the people of Flanders are mulling over the findings. Among other things, the results revealed that the centres of rural villages, which were thought to have pure air, in fact have high levels of traffic-related air pollution. The project has opened political doors that more-subdued announcements by the scientific community might never have done. Air quality became a theme in local Flemish elections, which were held in mid-October. Meysman says that he has received many invitations to present his data. And the European Environment Agency says that it aims to apply the approach more widely. Links and resources for Innovation and Citizen Science projects with a schools focus, extracted from posts to the Cit-Sci Discussion list, by Nancy Trautmann <nancy.trautmann> and Mary Ellen Hannibal <maryellenhannibal>. This book is designed for teachers: Citizen Science: 15 Lessons That Bring Biology to Life provides several case studies + 15 lesson plans representing a large range of citizen science projects and ways of integrating into science teaching. The book Citizen Scientist by Mary Ellen Hannibal, as well as Caren Cooper’s book Citizen Science for big-picture narratives focusing on individual projects but also connecting them to the larger, contextual vision. Both books provide a way to integrate “science” into the broader humanities, including history and literature. Look at the readings for a single lecture/ workshop for in-service teachers or MAT graduate students and the California Academy’s Citizen Science Toolkit for educators. Also, Dunn, R. and H. Menninger. (2016) “Teaching Students to How to Discover the Unknown,” in D. Cavalier and E. B. Kennedy (Eds), The Rightful Place of Citizen Science. Tempe, AZ. The four episodes of the PBS program The Crowd and the Cloud, which are free online, are superb and comprehensive. Four years ago, a group called Piedata came together with CANTO, a trade association of Caribbean telecommunications service providers, to hold a hackathon. The goal was simple: shine a light on some big issues facing the region, and get some bright minds to come together to tackle those problems. “For three years, we had the competition and we had really good products coming out of it,” said Ayodele Pompey, CEO and Founder of Piedata, the organisation that runs the annual regional code sprint. The event now brings together some of the best developers from around the region to build software solutions that are responsive to real-life problems facing Caribbean islands, he said. “One of our winners last year was called Sonar, built by a young Belizean development team called LXJ Code. So we thought to ourselves, every year we are bringing the best developers together. They are coming up with really smart, innovative solutions. But after the competition, what comes next?” Pompey said. As it turned out, the answer was not technical but relational. “We decided to spend more time developing the solutions, connecting the developers with potential investors, clients and partners to see how far we can take these products, so that ultimately, they can actually solve and address the problems that they were intended to,” Pompey said. When the Piedata tea is not solving the problems of the Caribbean region, one line of code at a time, Piedata stays in the business of accelerating innovation by engaging Caribbean talent to create value. “We think that the Caribbean has talent, and we want to discover that talent and put it to good use. Shamir Saddler, CTO at Piedata, is the owner of SmartTerm, a software-based solution geared to strengthen the education system by putting school management and learning management at the fingertips of all stakeholders involved in education, including governments, administrators, teachers, students and parents. The product is currently in use in Jamaica, and Saddler said there are plans for an expanded rollout in other countries. Piedata was one of several organisations on the exhibition floor of CANTO’s annual telecommunications trade show, which took place in Panama City from July 22 to 26. The four-day event attracted a wide range of stakeholders from across the region’s Internet and telecommunications industry, including regulators, government ministers, Internet organisations, network operators, suppliers and vendors. More information is available at piedata.io and smartterm.io. How a subversive form of mapmaking charts the stories and customs of those who would traditionally be ignored. Sara is a 32-year-old mother of four from Honduras. After leaving her children in the care of relatives, she travelled across three state borders on her way to the US, where she hoped to find work and send money home to her family. She was kidnapped in Mexico and held captive for three months, and was finally released when her family paid a ransom of $190. Her story is not uncommon. The UN estimates that there are 258 million migrantsin the world. In Mexico alone, 1,600 migrants are thought to be kidnapped every month. What is unusual is that Sara’s story has been documented in a recent academic paper that includes a map of her journey that she herself drew. Her map appears alongside four others – also drawn by migrants. These maps include legends and scales not found on orthodox maps – unnamed river crossings, locations of kidnapping and places of refuge such as a “casa de emigrante” where officials cannot enter. Since 2011, such shelters have been identified by Mexican law as “spaces of exception”. This kind of work is an example of the growing field of counter-mapping. The title of a seminal paper in the field, Whose Woods Are These?, gives a succinct summary of what is involved. The paper’s author, Nancy Peluso, studied land ownership in the forests of Kalimantan, Indonesia, just as the government and the timber industry were mapping large tracts of land with the purpose of opening them up to logging and mineral exploration. Not surprisingly, where the official maps were blank, counter-maps from indigenous people told a very different story of generations of use, as well as customs and disputes among and within different tribes. Woods are, of course, particularly interesting as from time immemorial they have been the refuge of outlaws, bandits or whoever the state deems to be “other”. In Haiti, slaves typically gathered in the forests above plantations, prior to the birth of the first black republic. Travelling through tree-covered areas is a slow and arduous process, as is travel through politically unstable areas. Scale on an orthodox map is uniform; counter-maps can represent psychological as well as physical distances that are rarely linear or uniform. In the town of Duvergé in the Dominican Republic, I once interviewed a Haitian migrant who had dealt with civil unrest, a long mountain chain, forests, police checkpoints and clusters of militias (chimères) on his journey across the border. Although geographically his home town was only 177km away, he was psychologically about as close to home as a Londoner is to Murmansk. 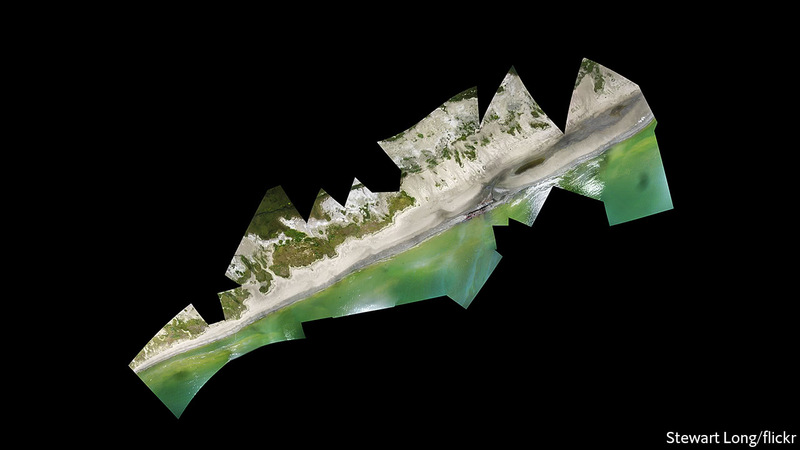 Counter-mapping’s ability to capture this fragmentation also makes it a useful tool for documenting physical transformations wrought by climate change. In the Arctic, melting sea-ice is opening up the Northwest Passage to the possibility of greater transcontinental shipping. Questions of sovereignty over these waters are pressing, and the traditional function of maps has been to impose the stamp of a crown on vast swaths of the Earth. In the Arctic, as in Africa and Asia through the 19th century, it suited many Europeans, Russians and Americans to think the land was empty before they arrived. In the mining town of Labrador City, there are curiously named lakes: Tanya Lake, Beverly Lake, Carol Lake. Curious, until you learn that Carol was the wife of the chief geologist of the Iron Ore Company of Canada (IOC). The names date from the 1950s. Counter-mapping often pays greater attention to “their method” than orthodox mapping. There are more than just Cartesian coordinates in the world. Detailed knowledge of the thickness of ice, places of shelter and predators are engraved in Inuit stories. Indeed, the naming continues; within the great Rapa valley in Sarek, the Swedish wilderness, is a small area recently given the name Rovdjurstorget (Predator Square) because the tracks of all four large predators that exist in the wild in Sweden (bear, wolverine, wolf and lynx) have been found there. And if a scientist frowns at the mention of storytelling, just remind them of the names of places to be found in anatomical atlases of the brain – the amygdala (the almond) , the hippocampus (the seahorse) , the globus pallidus (the pale globe) . Mapping is eternally linked to stories, and counter-mapping acknowledges the use of more than one knowledge base. It also has the possibility to counter the naïve, sometimes malign, simplicity of state lines. Arctic people in particular know a thing or two about these lines – the Sami were often burdened with paying taxes to three nation states at a time. One of the fundamental overlaps between the counter-mapping of the Arctic and the journeys of migrants is that in both cases there is no single scientific or technical solution to the problem at hand. Alleviating the problem depends as much on ethics as equations, and Inuit people have different ethical obligations to the Arctic to IOC geologists. The answer to the question “whose woods are these?” is not singular. Counter-mapping at least helps us to give more weight and representation to customs and claims on the land that have traditionally been ignored. We’re writing with a few updates regarding the National Action Plan for Open Government. First, due to a combination of factors, we will need to delay tomorrow’s meeting by approximately two months. Please hold Tuesday March 27 at 10:00 am on your calendars. As stated in the United States’ official delay letter (available: open.usa.gov,opengovpartnership.org), the delayed delivery of the fourth National Action Plan and related materials is allowing USG additional time to ensure that the plan is as substantive and aligned to national priorities as possible. The delay in this month’s meeting reflects that approach. We appreciate everyone’s patience and remain committed to full participation in the partnership. On an administrative note, we wanted to make sure that everyone saw that, as a result of the delayed delivery of the fourth National Action Plan, the Open Government Partnership has moved the United States from the “odd year” to the “even year” cohort of participating countries. The new deadline for delivery of NAP4 is August 31, 2018. You can read OGP’s official letter here. You received this message because you are subscribed to the Google Groups “US Open Government” group. To unsubscribe from this group and stop receiving emails from it, send an email to us-open-government+unsubscribe@googlegroups.com. To post to this group, send email to us-open-government@googlegroups.com. Visit this group at https://groups.google.com/group/us-open-government. A PAIR of toddler’s tights. That is the most important component of the device that Max Liboiron designed to measure the ocean’s plastic debris. 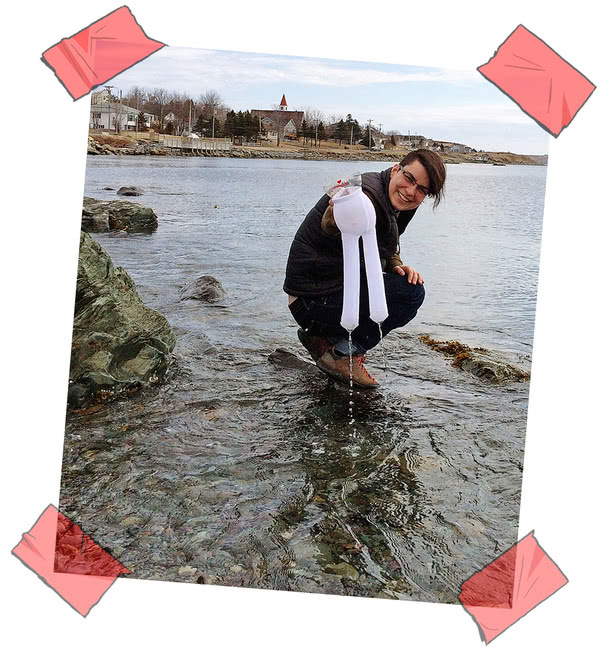 In 2014 Ms Liboiron, a geographer, took up a job at the Memorial University of Newfoundland on the Atlantic coast. Two years earlier Canada’s Conservative government had passed a bill that weakened environmental protection and cut the budget for monitoring the country’s water and air. Ms Liboiron wanted to help plug the gap. She had no staff and no equipment. But she had a feeling that, if she could get around the second of those problems, she could sort out the first. Given appropriate tools, she suspected, locals would be more than happy to survey the waters surrounding the island for marine plastics. The ocean provides Newfoundlanders with food and jobs; knowing what ends up in the fish they eat and sell is crucial. Newfoundland is not awash with fancy scientific equipment going begging. Baby stockings, however, are widely available. Attached to half a plastic bottle as a mouth and towed behind a boat, the synthetic tights (cotton will absorb water and sink) sieve surface water for some of the five trillion or so pieces of plastic that are estimated to pollute the world’s oceans. BabyLegs, as Ms Liboiron has dubbed her contraption, is the sort of do-it-yourself kit being used by an increasing number of concerned citizens seeking to monitor the soil, water and air. Such tools are typically cheaper than the professionals’ alternatives. The Manta Trawls with which scientists skim the oceans for microplastics start at around US$3,500. BabyLegs, which you can put together yourself using instructions from Ms Liboiron’s Civic Laboratory for Environmental Action Research (CLEAR), costs just a few dollars. But price is only part of the point. The bigger issue is agency. BabyLegs and schemes like it not only provide a cheap way to gather data governments are ignoring. They also offer citizens an active role in doing so; a way to help themselves, and express their commitment to others, on their own terms. It may look scrappy; it may be comparatively primitive (although, increasingly, it is not). But it is liberating. In 1977, in the very heavenly dawn of London’s punk-rock scene, a crude, photocopied magazine told its readers: “This is a chord, this is another, this is a third. Now start a band.” They did so by the thousand. Now that punk aesthetic has come to science. Safecast, an NGO based in Tokyo, provides the most comprehensive picture of radiation levels across Japan. Its data come from hundreds of devices, either assembled from Safecast’s kits (which cost $500) or built from scratch using instructions on their website. They consist of a Geiger counter, a GPS unit to log where measurements are made, a simple open-source computer called an Arduino to time-stamp the data and a memory card. Pieter Franken, one of Safecast’s founders, started to map the country’s radiation levels a few days after the huge earthquake of March 11th 2011. When explosions ripped through the reactors of the tsunami-struck Fukushima Dai-ichi nuclear power plant, Mr Franken, a Dutch computer scientist working in Tokyo, bought a Geiger counter and went on the road. “On my first drive, the readings I was getting were significantly higher than those being reported on TV,” he says. Radiation levels varied dramatically from street to street; in some towns far from the plant they were higher than in those that were close. The official data were not fine-grained enough to reveal such patterns. Results from Speedi, the government computer system used to predict the path of the radioactive plume from the plant, were considered too inaccurate to share with the public. No one trusted the government’s reassurances when they came. “I met people on the ground desperate to know radiation levels in their home, school or at work,” Mr Franken says. He contacted two old friends, Sean Bonner and Joi Ito, tech entrepreneurs with colourful and impressive CVs, to talk about what to do. Between them, they cooked up the idea of using volunteers with mobile Geiger counters to collect data and stream them to a website. Supplies of commercial instruments had, understandably, dried up quickly after the disaster. So Mr Franken patched one together from parts and connected it to an iPhone to get GPS co-ordinates for the data. By the end of the next month he and other volunteers had built a prototype of the “bGeigie”, the first in a series of detectors that they would make available in kit form on their site. In the six years since the disaster, Safecast has moved from the fringes of respectable science to its mainstream. Two of its members were invited to speak in Vienna in 2014 at a meeting on the Fukushima disaster organised by the International Atomic Energy Agency. In 2016 the team published a paper in the Journal of Radiological Protection. And perhaps most tellingly of all, scientists are adopting their methods. “How Radioactive Is Our Ocean”, a project at the Woods Hole Oceanographic Institution in Massachusetts, is getting people to send samples of seawater from beaches on the west coast. The scientist leading the project, Ken Buesseler, met members of the Safecast team in 2012 shortly after he published a study on radioactive isotopes in the fish and waters off the coast of Fukushima. When he could not raise money from the federal government to look for those isotopes off America’s Pacific coast, he discussed with Safecast how to establish a citizen-science project to collect the data instead. Citizen science has been around for ages—professional astronomers, geologists and archaeologists have long had their work supplemented by enthusiastic amateurs—and new cheap instruments can usefully spread the movement’s reach. What is more striking about bGeigie and its like, though, is that citizens and communities can use such instruments to inform decisions on which science would otherwise be silent—or mistrusted. For example, getting hold of a bGeigie led some people planning to move home after Fukushima to decide they were safer staying put. Ms Liboiron’s research at CLEAR also stresses self-determination. It is subject to “community peer review”: those who have participated in the lab’s scientific work decide whether it is valid and merits publication. In the 1980s fishermen had tried to warn government scientists that stocks were in decline. Their cries were ignored and the sudden collapse of Newfoundland’s cod stocks in 1992 had left 35,000 jobless. The people taking science into their own hands with Ms Liboiron want to make sure that in the future the findings which matter to them get heard. Issues such as climate change, plastic waste and air pollution become more tangible to those with the tools in their hands to measure them. Those tools, in turn, encourage more people to get involved. Eymund Diegel, a South African urban planner who is also a keen canoeist, has long campaigned for the Gowanus canal, close to his home in Brooklyn, to be cleaned up. Effluent from paint manufacturers, tanneries, chemical plants and more used to flow into the canal with such profligacy that by the early 20th century the Gowanus was said to be jammed solid. The New York mob started using the waterway as a dumping ground for dead bodies. In the early part of this century it was still badly polluted. In 2009 Mr Diegel contacted Public Lab, an NGO based in New Orleans that helps people investigate environmental concerns. They directed him to what became his most powerful weapon in the fight—a mapping rig consisting of a large helium balloon, 300 metres (1,000 feet) of string and an old digital camera. A camera or smartphone fixed to such a balloon can take more detailed photographs than the satellite imagery used by the likes of Google for its online maps, and Public Lab provides software, called MapKnitter, that can stitch these photos together into surveys. These data—and community pressure—helped persuade the Environmental Protection Agency (EPA) to make the canal eligible for money from a “superfund” programme which targets some of America’s most contaminated land. Mr Diegel’s photos have revealed a milky plume flowing into the canal from a concealed chemical tank which the EPA’s own surveys had somehow missed. The agency now plans to spend $500m cleaning up the canal. Jeffrey Warren, who created MapKnitter, is one of the founders of Public Lab. The group was set up to help locals map the devastation caused by the oil spill in the Gulf of Mexico in 2010. When the Deepwater Horizon rig exploded, Mr Warren was studying digital cartography as part of a master’s degree at the Massachusetts Institute of Technology. Wanting to help but lacking local knowledge, he called the Louisiana Bucket Brigade, an environmental group in New Orleans, and was put through to Shannon Dosemagen. The brigade is named after the plastic buckets it provides to residents concerned about refineries in the area to help them in gathering samples for laboratory analysis. This has often revealed levels of toxic chemicals, such as benzene, many times higher than those allowed by law. Those data have helped local people, who are often poor and black, to lobby for change. Tapping in to her experience with the brigade, Ms Dosemagen, who is now Public Lab’s executive director, rapidly organised training sessions in a New Orleans park. Cameras on balloons and kites began snapping the oil’s progress; MapKnitter joined the pictures together to show the impact of the slick (see photo above). Seven years on, Public Lab still springs into action after industrial accidents. Within days of Hurricane Harvey’s landfall in Texas last August coastguards asked Mr Warren for volunteers to help track chemical spills by combing through aerial photos. Public Lab’s website now hosts discussion boards on topics that range from finding decibel meters for smartphones to detecting metal ions in water, along with a range of impressive tools. In line with its do-it-yourself ethic, the site offers no ready-built equipment; those who build their own devices, Public Lab believes, are more likely to use them. There are instructions for converting a camera to take infrared images that will help determine crop health as well as for spectrometers which can show up the chemical composition of a liquid or gas by analysing light shone through it. Using a design PublicLab has kindly made available at its website to readers of The Economist, you can build one yourself, either just for the fun of it, or to measure the sugar content of your wine, or for some punk’d up purpose of your own. A similar ethos is also beginning to seep into university labs and research institutes. Cheap 3D printers and computer-aided design programs that allow design files to be shared online mean that ever more apparatus can be made in the lab, rather than ordered from a catalogue. The economic argument for doing so is compelling. A plastic test-tube rack can cost more than $20. Downloading one of the many different files for the rack of your choice and printing it costs a tenth of that. A $1,000 laboratory jack for lifting and levelling equipment can be made for $5. It is not just simple pieces of lab equipment that can be printed. Earlier this year Tom Baden of the University of Sussex and his colleagues published plans for a 3D-printable fluorescence microscope, called FlyPi, which uses ultraviolet light and fluorescent dye to improve its analysis of samples. Mr Baden estimates that it can be set up for less than $250. Flashy commercial microscopes on the same lines can cost thousands of dollars. Mr Baden, a neuroscientist who studies the eyes and brains of zebra fish, says that although the quality of a FlyPi may not be that of a commercial model, the low cost means that his lab can have several extra microscopes on the go at once alongside the high-spec one they already had. “Open hardware” like the FlyPi is a boon for scientists in poor countries. Mr Baden and fellow neuroscientists Lucia Prieto-Godino and Sadiq Yusuf founded TREND in Africa, an NGO that organises summer schools for researchers. Courses on open labware begin with building a printer which can itself be made largely from printed parts. Printed scientific tools can be repaired cheaply, as can the printer. Mr Pearce, an early advocate of open hardware, is pushing the concept hard. Atomic layer deposition (ALD) is a method of building up very thin, uniform films on a surface. In chip manufacturing, the process can lay down transistors that are no more than a 100 atoms across. Engineers are exploring its potential for making thin, wearable sensors, implants and drug-delivery devices. Many researchers would love to get their hands on a system but, at a cost of $250,000, few can afford it. That cost reflects the sophistication of the kit required to carry out the enterprise. ALD must take place in a carefully controlled vacuum. Mr Pearce, however, wants to produce one that anyone can make in the lab for a fraction of the cost with printable plastic parts. Hundreds of scientists like Mr Pearce and Mr Baden are uploading their plans for instruments to the internet, where they are scrutinised by citizen scientists hoping to improve the tools they are using, and thus the things they can study, monitor and make a fuss about. As new, cheaper, easier-to-use instruments become available, more people across the world will step into the breach as governments threaten to scale back their efforts to monitor the environment and set their own agendas. In Chile, Exploratorio Sombrero hopes to map poorer neighbourhoods of Melipilla, the city where it is based. In Indonesia, Lifepatch has helped farmers whose land was engulfed by a volcanic eruption. Safecast is growing, too. In April, it unveiled a solar-powered device that can detect levels of particulate air pollution as well as radiation. Within two years, Safecast plans to have more such sensors in America than the EPA. That will improve national statistics at a time the government shows little interest in doing so; more important, it will empower communities which never had the knowledge to affect their futures before. Where do we seek solutions? Or e-mail NatureTech at IRF ORG.